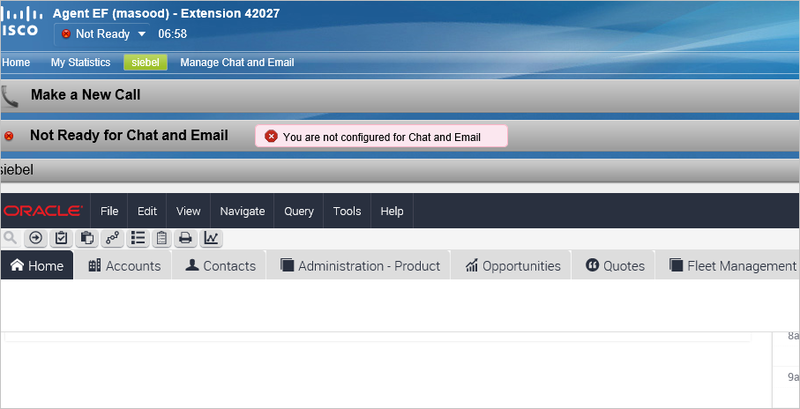 The CTI Toolbar Java library in the browser of the callcenter agents accesses our generic connector on the server, which communicates with the Cisco Finesse Server. If you have Mediarouting enabled (for example for chat or email), it also connects to the Socialminer UQ API of UCCE/ PCCE or to the UCCX Mediarouring engine to handle non-voice requests. Ports 61616, 8161, 5222, 5223, 7071, 7443, 8080, 80, 443, 8443, 123, 53 need to be open between the agent session and the Generic connector server.